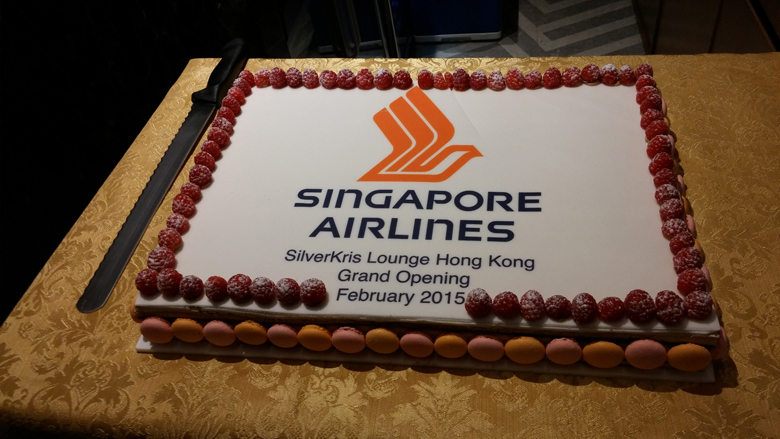 Singapore Airlines celebrated the reopening of its SilverKris lounge at Hong Kong International Airport last Friday. The lounge temporarily closed in May last year (see here) for a refurbishment, which has now been completed. 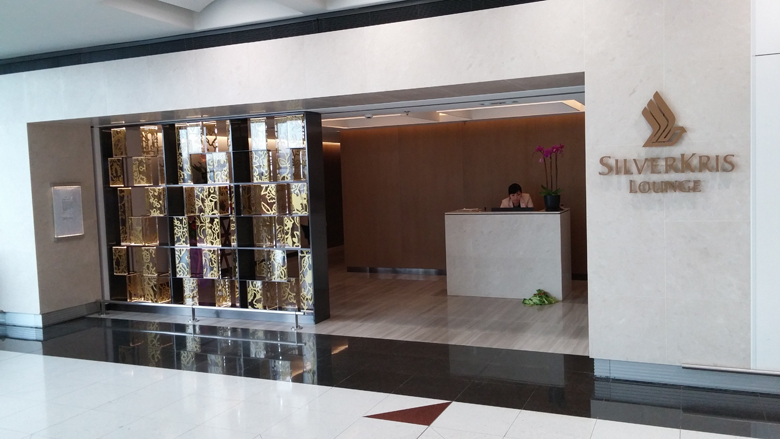 Finishing touches included the welcome foyer at the entrance, with the customized batik-design screen resembling the airline’s iconic stewardess sarong. 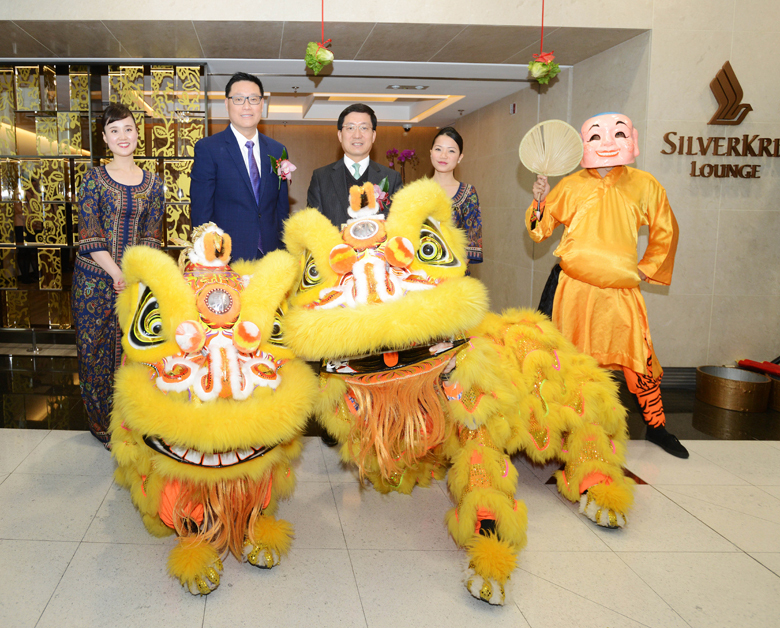 The ceremony was brought to a close with a formal ribbon-cutting and the traditional lion dancing. 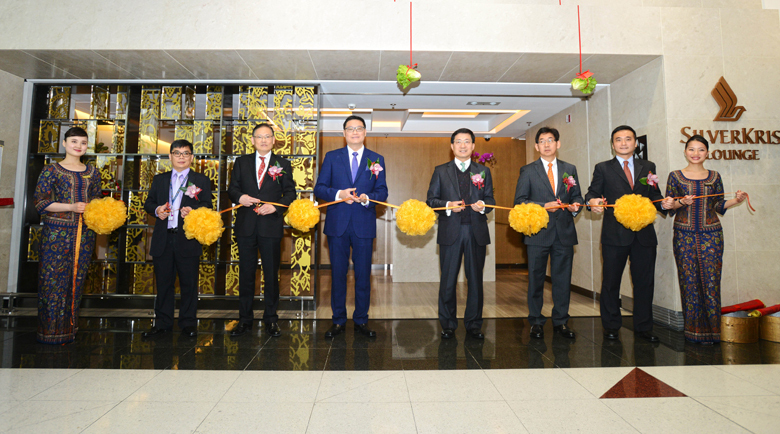 The lounge is located near Gate 15 of Level 6 in the main departure hall. It opens daily from 0615 to 2330. For our detailed First Look of the lounge, click here.